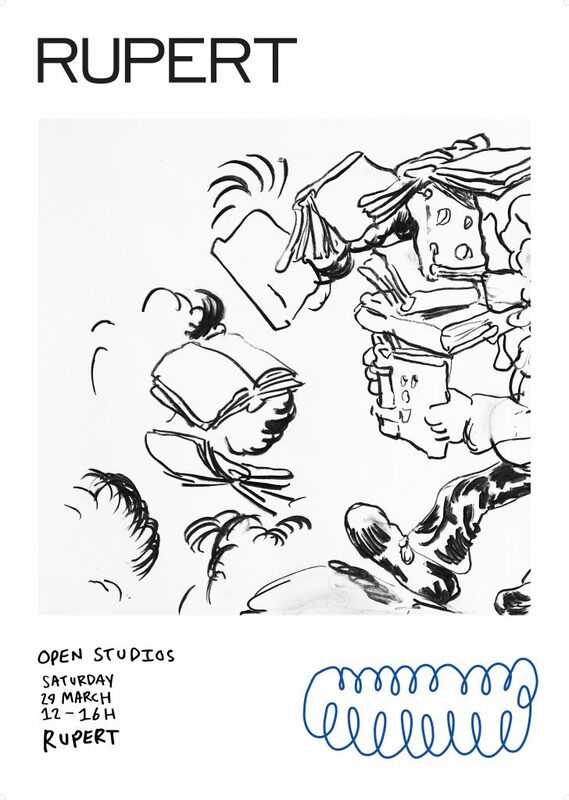 Rupert invites all for an Open Studios session this Saturday, March 29. Rupert residents Allison Gibbs, Lucas Dillon and Sebastian Rozenberg will open the doors of their studios to the public and talk about ongoing projects, research and artistic practices. Come by to see what’s been happening behind closed studio doors and talk to the artists! 13:00 Allison Gibbs. Artist talk, ‘A Short History of Psychic Mediumship’. 14:00 Lucas Dillon. A presentation of new works. 15:00 Sebastian Rozenberg. ‘Throuwe & props’, a presentation of the work and collected objects during the stay in Vilnius. If everything is reduced to objects and materials, where do we situate the ethics? A performance and poetry reading, with the artworks as props. Allison Gibbs (b.1978, Penrith, AUS) graduated from the Masters of Fine Art programme at The Glasgow School of Art, with an exchange at The Piet Zwart Institute, Rotterdam, NL, in 2013. She is currently based in Glasgow, UK. Working predominantly with 16mm film, video and writing, Allison devises methodologies for making by translating things; like a constellation, a table or a psychic medium, into actions as a way of channeling and representing multiple points of theoretical, anecdotal, historical and visual reference. Whilst at Rupert Allison is becoming mediumistic as a methodology; by attempting to embody the sensibilities of a medium, to consider extrasensory practice as a mode of radical, transitory subjectivity and to channel the geographical centre of Europe and Jonas Mekas via physic phenomena. Lucas Dillon (b.1990) is an Irish artist currently working in Peckham, London. Lucas Dillon was born in Hounslow, London and spent his upbringing in Belfast. In 2008 he returned to London to study Sculpture at Camberwell School of Art.Throughout Lucas Dillon’s works one can observe a collection of references pulled together by the use of comic imagery and fragments of popular culture. These points of reference can be found to merge and dissolve with in notions of expression, against the backdrop of art history. Lucas Dillon uses found objects, drawing and a varied range of materials to bring to question traditional preconceptions of the inherent nature of an artwork and its limitations. Sebastian Rozenberg (b.1985) is a Swedish artist based in Stockholm. Rozenberg’s work often takes the form of or starting point in research and conceptual writing, presentations, seminars, academic situations and videos as sites of artistic production. Theory-fiction as a practice, the poetics of confusion and a withdrawal from credibility are some of his interests. Snacks and coffee will be available to purchase during the day. Rupert can be reached by No. 15 bus which leaves from “Tverečiaus” bus stop every hour (at 11.08, 12.04, 13:00, 14:01, 14:57) and after passing Turniškės turns around and stops at “2asis paplūdimys” right in front of Rupert. Full timetable can be found here.